I had some boar brushes that I decided to remove their knots and made them badger brushes with some The Golden Nib knots. Im not really good with machines/tools, so I thought about removing the knots without applying any kind of "force" or tool on them. After thinking and thinking, I decided to use "steam",since steam helps to soften the glue/epoxy. 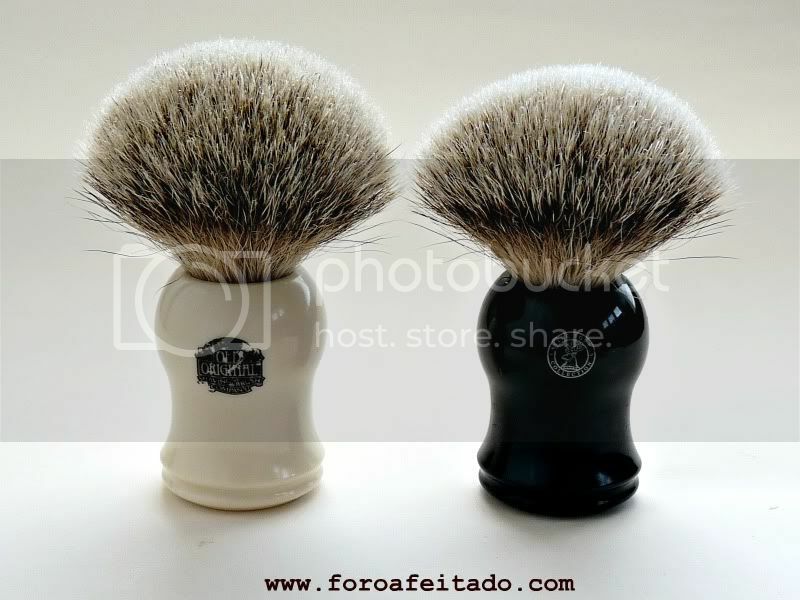 So this is my technique to get rid of the knots of both old/new shaving brushes. 1.Get a big pot and fill it with water,about 15% of its capacity. 2.Put it on the fire until the water boils. 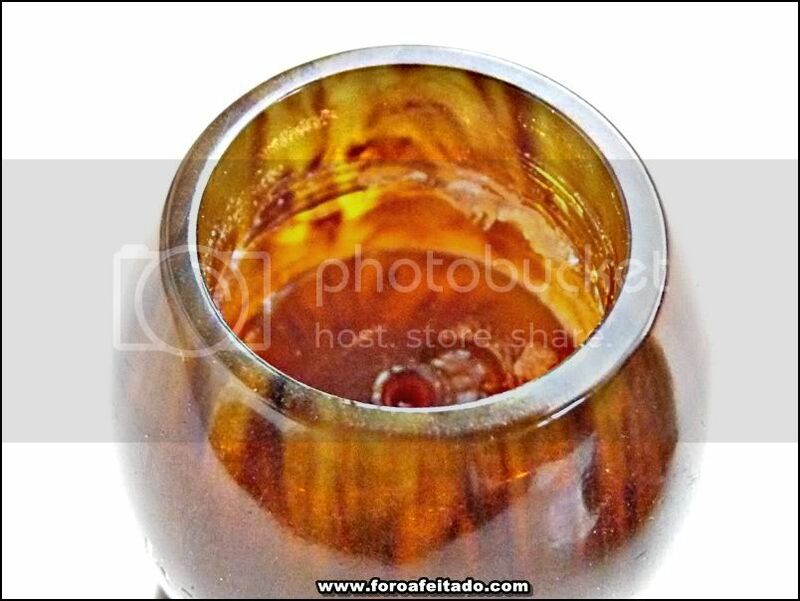 3.When the water boils,reduce fire to the minimum and place the brush inside a ceramic/crystal pot inside of the big one.The brush NEVER has to touch the boiling water,this is why I put it inside another ceramic/crystal container.The brush,of course,standing up all the time that is inside both pots. 4.Cover the big pot and leave it for,at least,30 minutes.The steam will do its work/magic. 5.After that time,remove the brush (be careful to use gloves or cloth since its gonna be really hot!!!) from the inside container and start moving the knot that you wanna take off with lateral movements. 6.Youll notice how the knot have been loose and would be easily removed! 7.If you noticed that the knot its still attached to the handle,put it back to the pot,and leave it there for 10 minutes more.After that time do what I explained in step 5 and the knot for sure would be remove.If not,another 10 minutes with steam (maybe at this time,you will need to put more water on the big pan), until you can safely and with no effort remove it from the handle. I have used this tecnique both with new and old handles.For old handles usually the time taken to remove the knot is longer, but I have done it. Be careful with hot water or placing the brush on hot water, because that can damage the handle,specially the plastic/bekelite ones. 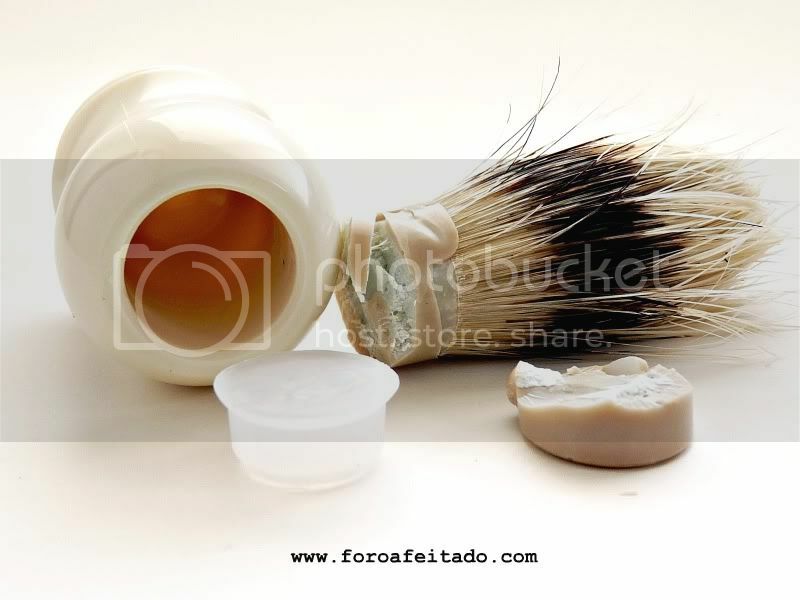 As you can see,I have applied this technique in different shaving brushes brands with the same results : removing the knot with no effort from my part and not using any tool but a two pan (or containers) and water. Let me know if you have tried too and with what results. Thanks Teiste. That was very informative. Very good. I wish I had known about this method before destroying a handle with vice grips and a screwdriver. 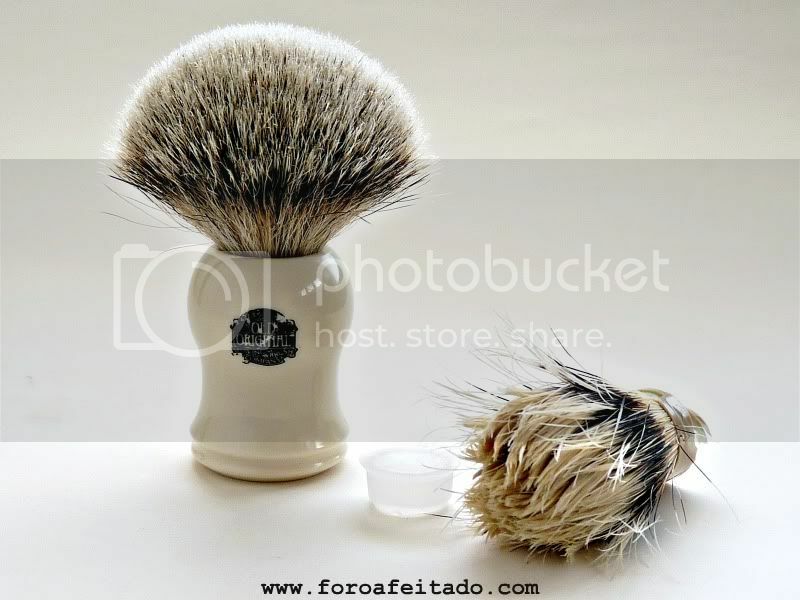 I will definitely try this method when I get around to attempting to restore 2 old brushes I have laying around. Tieste, why did you pull the Shavemac Pure knot? Good information Teiste. Thanks for sharing. I'll be using this technique this weekend on a couple of brushes. I hope it works, as I don't want to damage the handles I'm planning on working on. One is stone and the other is a vintage plastic handle. Photos and updates will be posted - regardless of outcome. Following the method I described on the post,and unscrew it from the handle,it was really easy. (03-23-2012, 06:39 AM)yohannrjm Wrote: Excellent information!! Perfect,lets see your experience with this method. It needs to be tested by more people. Fantastic Teiste. 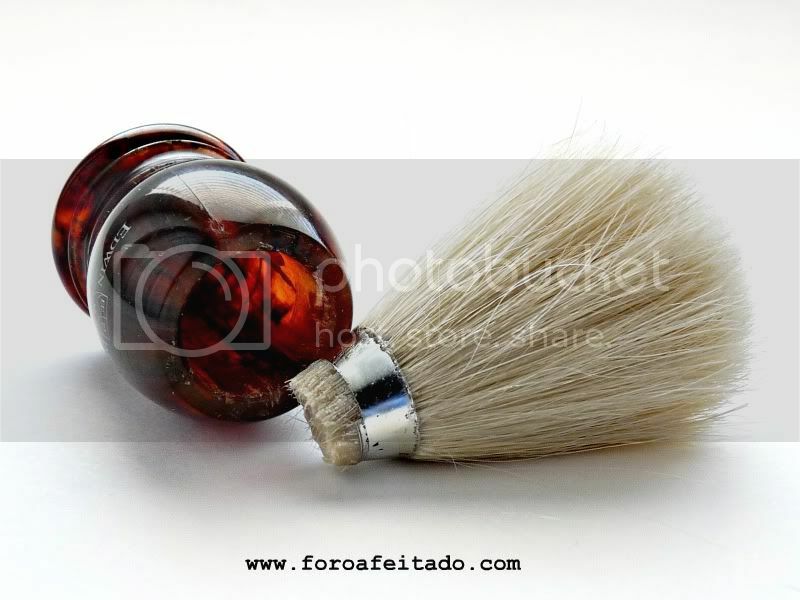 You have now created new brushes at a very good price plus the satisfaction of doing it yourself (DIY). Very intuitive. That would have saved me a PITA ripping out bits of brush and glue with needlenose pliers. Here's a vintage Rooney Butterscotch handle that had the knot set too low, also losing out on the flow-through. Here's another vintage handle that I fitted with a Vulfix-made synthetic knot. It was too floppy, so I wanted to rescue the handle. I love that Vie-Long knot, but I don't like the handle. Conversely, the knot on the little Kent 'scotch is too dense and too short, making it impossible to face-lather with it. I hope these come off, but I didn't want to pull too hard. There was one more success, but I didn't take a pic of that one. Aye, but why did you you remove the knot, do you have other plans for the handle? Quote: Aye, but why did you you remove the knot, do you have other plans for the handle? 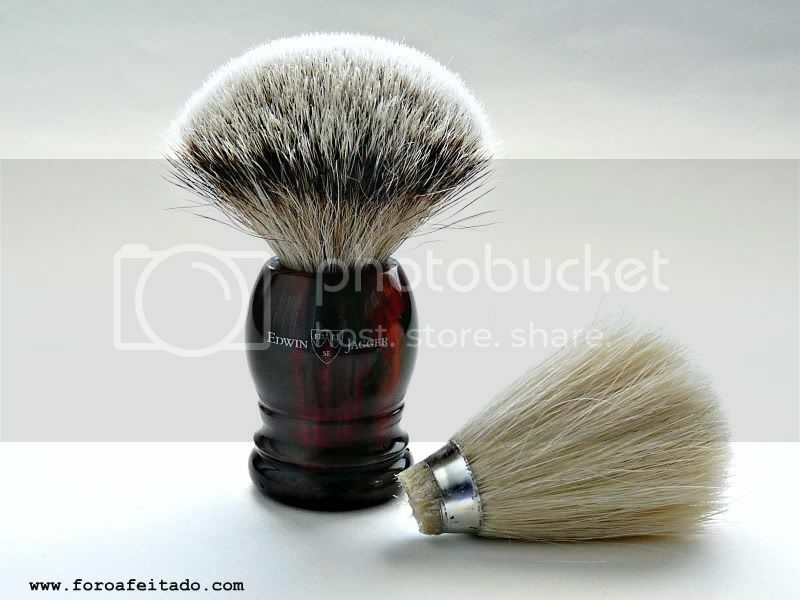 Do you mean for the shavemac handle?Not right not,but maybe in the future Ill put a TGN knot on it. The Vie Long needs more time with the steam,I did it with a Vie long boar brush and it took it almost 50 minutes. Yes I did, hmm so the Shavemac's Pure badger wasn't any good then? I'm curious because I was wanting to pick up a Shavemac in Pure myself. (03-22-2012, 09:04 AM)Teiste Wrote: I had some boar brushes that I decided to remove their knots and made them badger brushes with some The Golden Nib knots. 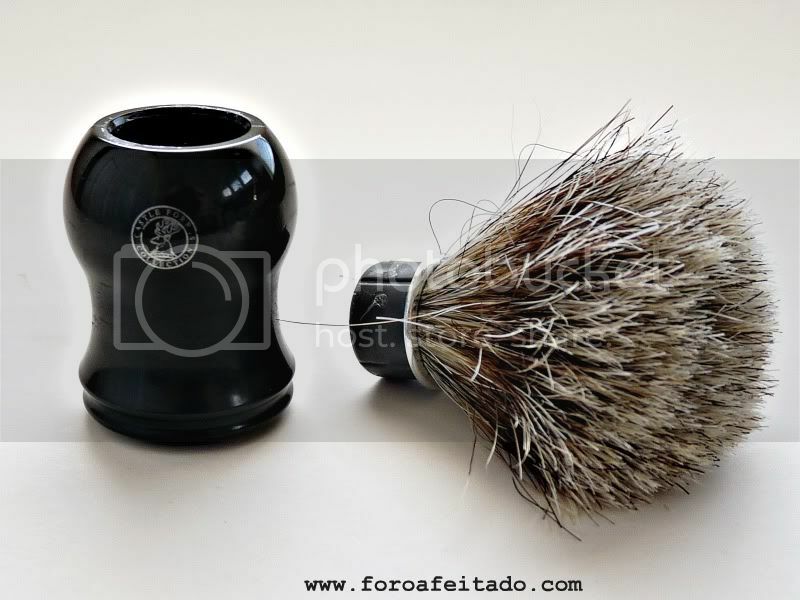 Wish me luck, I'm about to try your ingenious but simple knot removal method on an Oemga 11047 Mixed Badger/Boar Loft shaving brush (unable to use brush due to finding out I'm allergic to Boar hair). 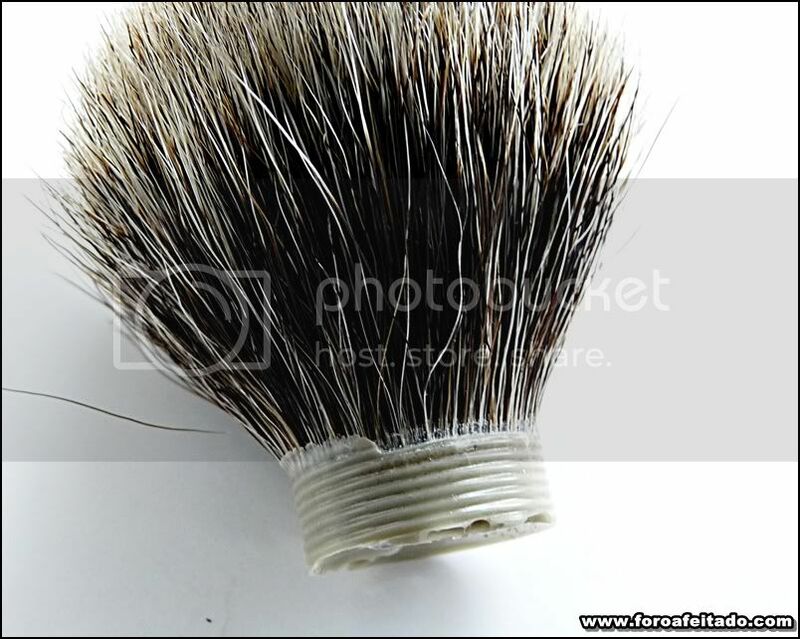 If the process works I plan on purchasing and installing a 20mm Finest Badger Knot XH from The Golden Nib. Then if that works out ok! 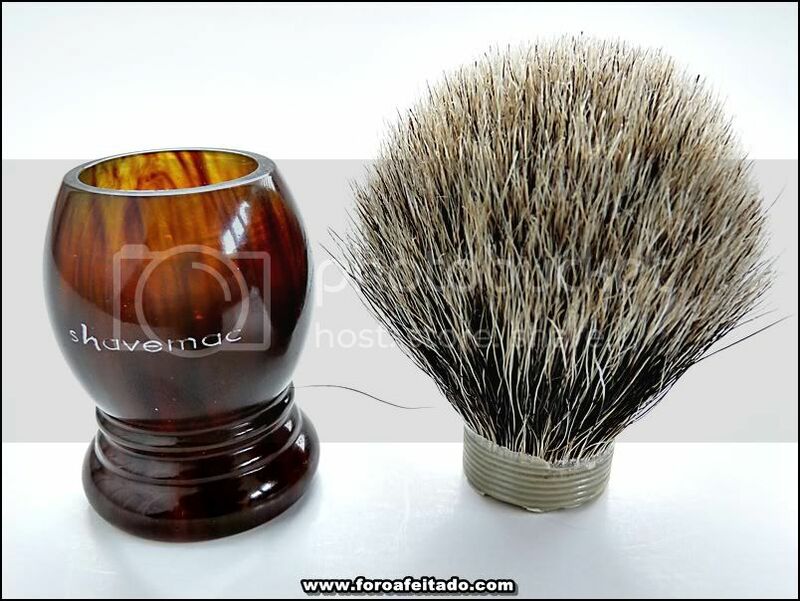 I'm thinking of taking my very first shaving brush (an Edwin Jagger Best Badger) and replacing that knot with either a 22mm Super Badger FAN or 22mm Super Badger BULB from The Golden Nib. 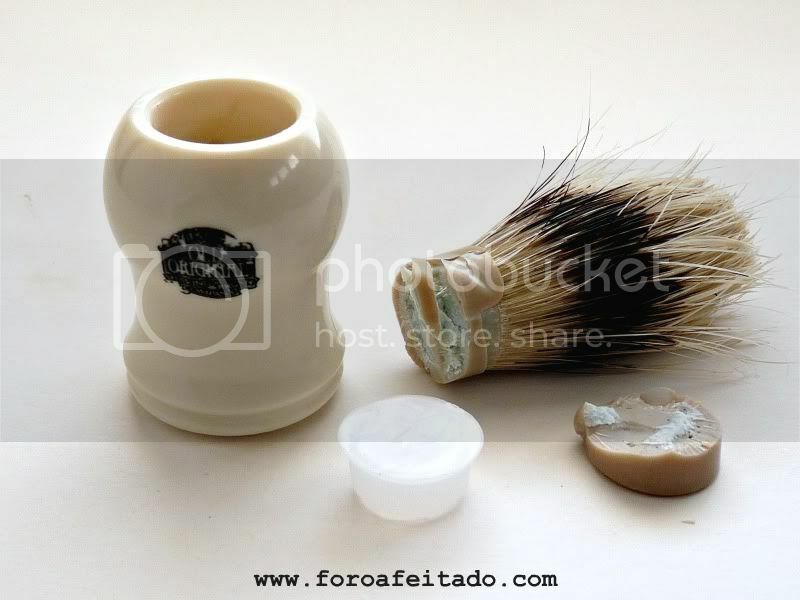 I have a few brushes that were set aside for restoration, I may have to try this method now. Thanks! Thanks Teiste, it worked like a charm. Here's my first attempt. The brush always was pretty 'scritchy' and just sat in a box. Now, off to TGN. I'd never considered using steam. next time I restore a brush again, I'll be sure to try it.